Foreign observers of the Israeli elections have failed to realize that almost all Israelis, more than 25 years after the disaster of Oslo, know that the so-called ‘two-state solution’ would be Israel’s ‘final solution’. They do not see in Netanyahu as a perfect leader but they vote for him because no other recent Israeli leader has been able to create so many victories for Israel. While President Donald Trump was among the first to congratulate Prime Minister Benjamin Netanyahu on winning the Israeli elections, as did Austrian Chancellor Sebastian Kurz, Hungarian Prime Minister Viktor Orban, Cypriot President Nicos Anastasiades and Honduran President Juan Orlando Hernández, among others, the large and most powerful countries of the European Union, France, UK and Germany held back. 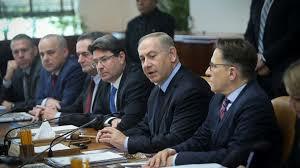 Perhaps they were waiting for the next Israeli government to be formed first. Perhaps it was just hard for them to congratulate someone with whom they so intensely disagree on Middle East policy. These three countries, after all, dictate policy in the EU, an organization whose foreign policy chief, Federica Mogherini, recently participated in the meeting of the Arab league, where she declared, “The first point, the first top issue on our respective agenda: Israel and Palestine. We need to continue to work together very closely, because we share the same sense of priority, the same sense of urgency, the same concerns and the same objectives: to get back to meaningful negotiations towards the two-state solution, which is the only viable, realistic solution”. She also strongly reassured the Arab League, “And you know that you can count on the European Union on the Palestinian issue. We share exactly the same views and it is vital in this moment that we work together on this”.